Norway's Viktor Hovland won Low Amateur honors by a shot. While Tiger Woods earned his fifth Green Jacket, 15th major and a check for just north of $2,000,000, there was another winner at the end of the 85th Masters. 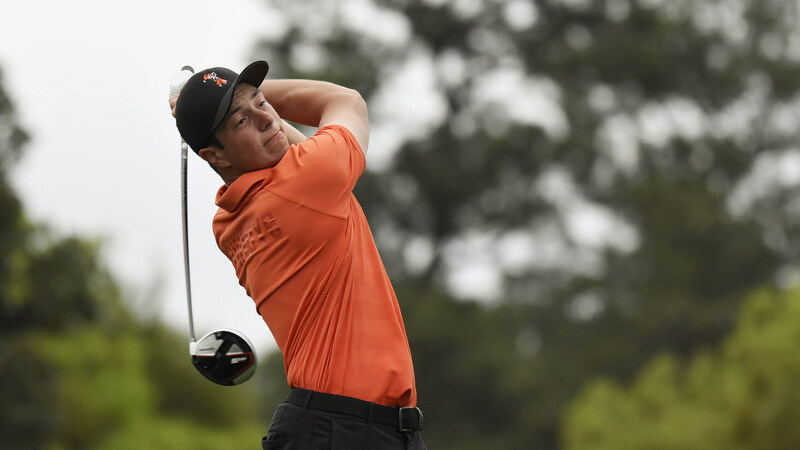 That would be Oklahoma State golfer Viktor Hovland from Norway, who finished as the tournament’s low amateur when Alvaro Ortiz from Mexico bogeyed his final hole of the day to finish two-under. Hovland sat wide-eyed in the Butler Cabin as he watched Woods don the Green Jacket. He was all smiles with his play. “I can’t be much happier than I am right now. I’ll be back at school, trying to win the nationals again,” he said of his Oklahoma State team, the reigning NCAA champions. Hovland was one of four amateurs to make the 36-hole cut, the most in 50 years at The Masters.